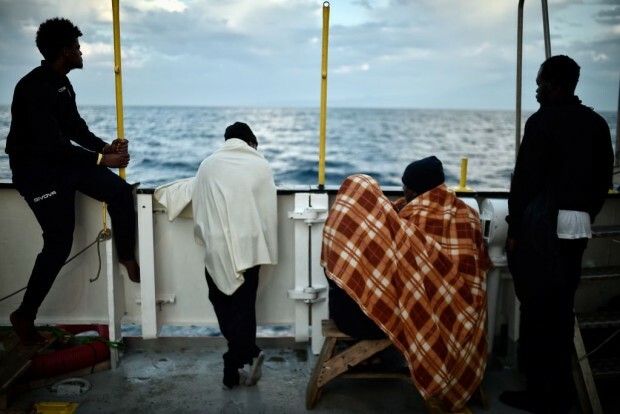 Migrants look at the coastline as they stand aboard rescue ship MV Aquarius, off the coast of Sicily on May 14, 2018. – Some 73 migrants of various nationalities, including women and children were rescued by MV Aquarius on May 12. The rescue vessel which has been chartered by SOS-Mediterranee and Doctors Without Borders (MSF) is heading to the Italian port of Messina.